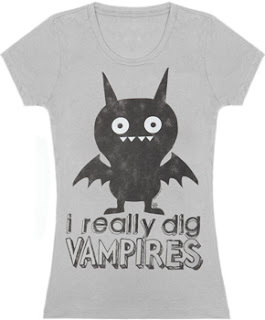 You can keep your Twilight vampires... this Ugly Doll vamp gracing this new tee is more my style. Much cuter than that Edward guy. This ghoulish fella kinda looks like my Schipperke in her bat costume.